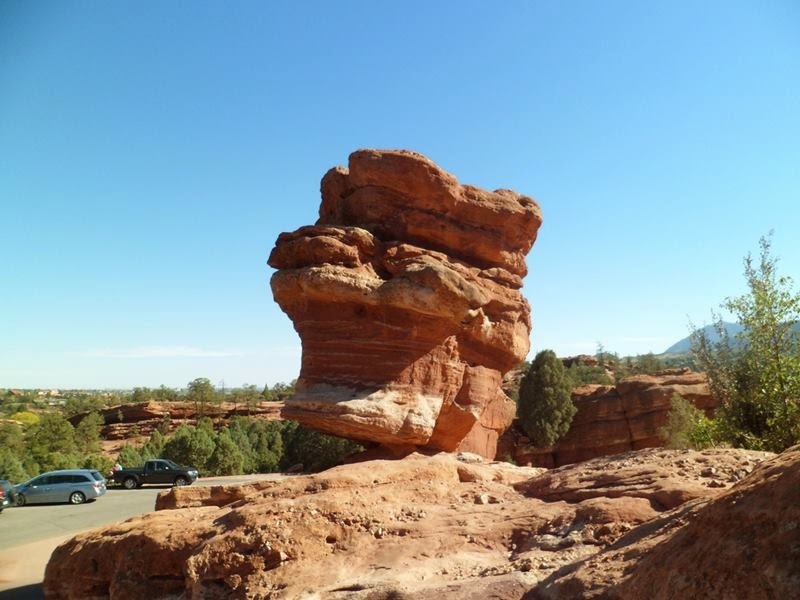 Balanced Rock, the iconic 700-ton red sandstone ballerina perched on its tiptoes in the heart of the Garden of the Gods and Garden of the Gods is a public park located in Colorado Springs, Colorado, US. 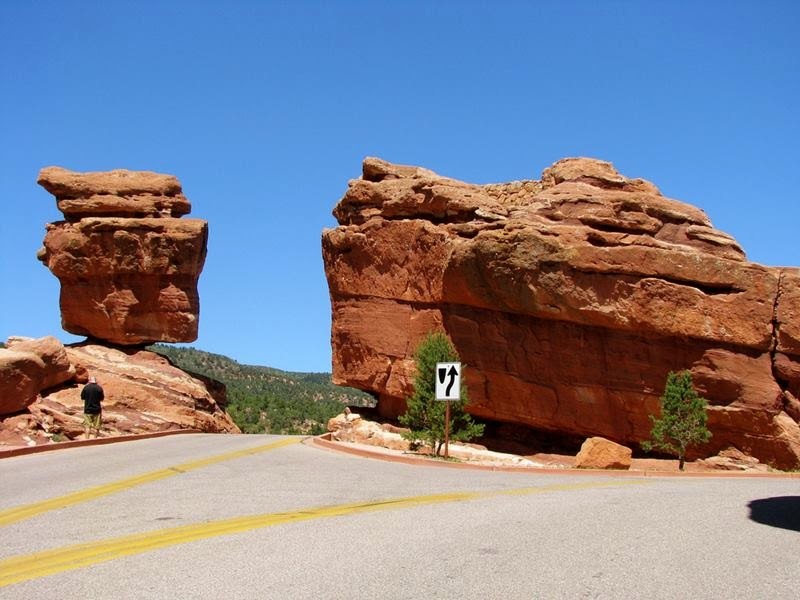 It was designated a National Natural Landmark in 1971. 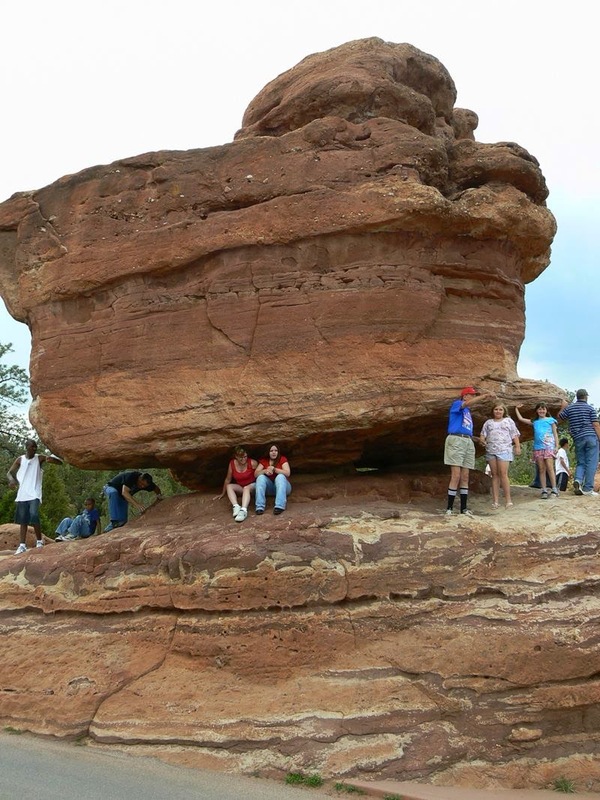 It is, after all, inevitable that the 290-million-year-old rock will fall. Too many factors are working against it. 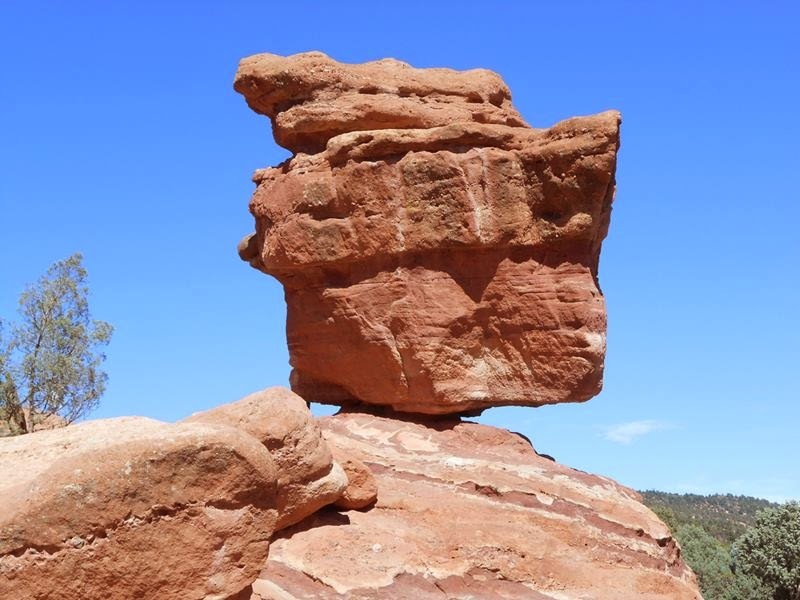 Maybe it will it be dislodged by erosion. Or wind. 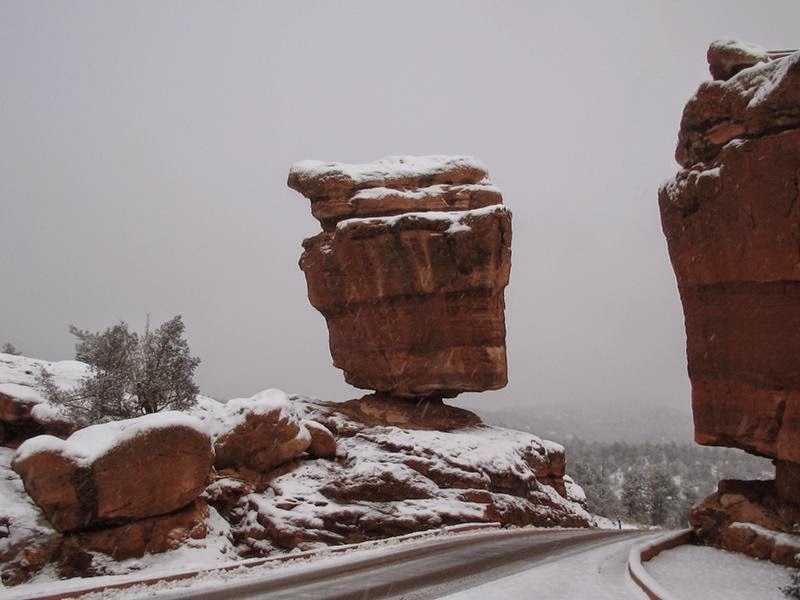 Perhaps it will succumb to Colorado’s notorious freeze-thaw cycles. Or even an earthquake. 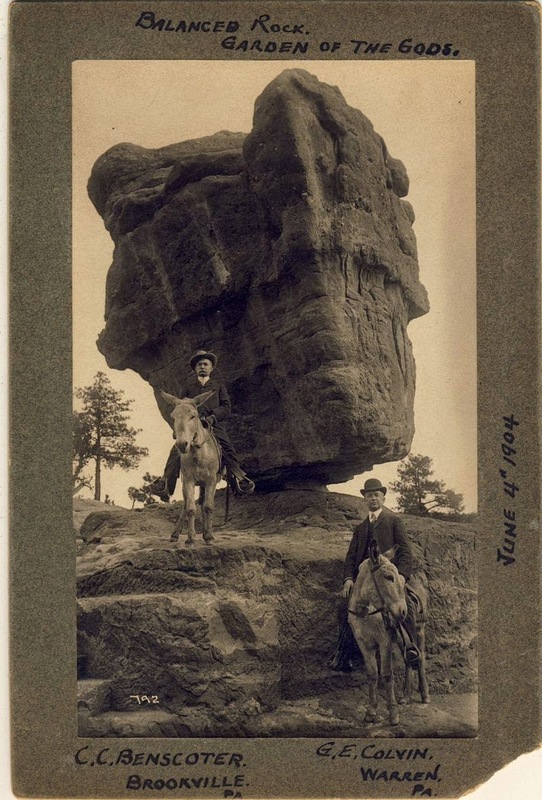 In 1936, an anonymous cousin of the Balanced Rock stood on a cliff about a half-mile to the south along the road to Manitou. 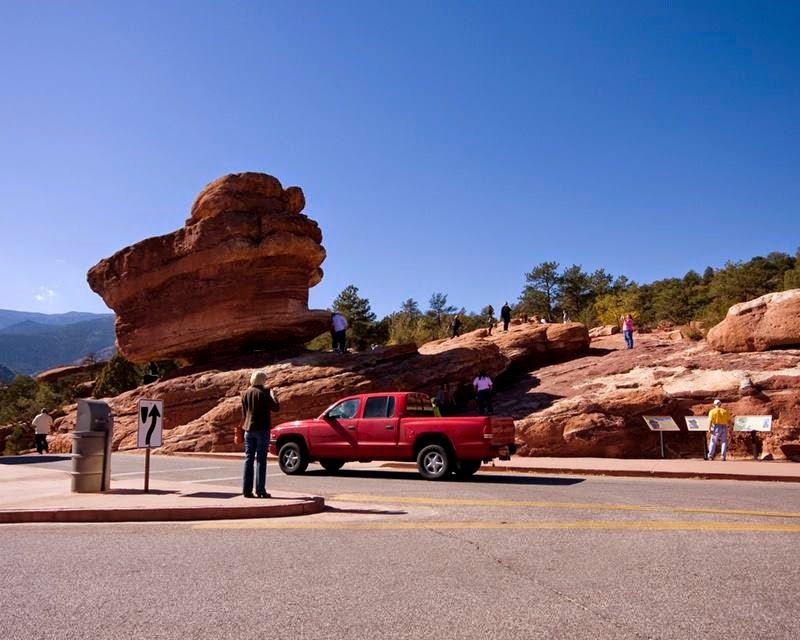 The Garden of the Gods red rock formations were created during a geological upheaval along a natural fault line millions of years ago. 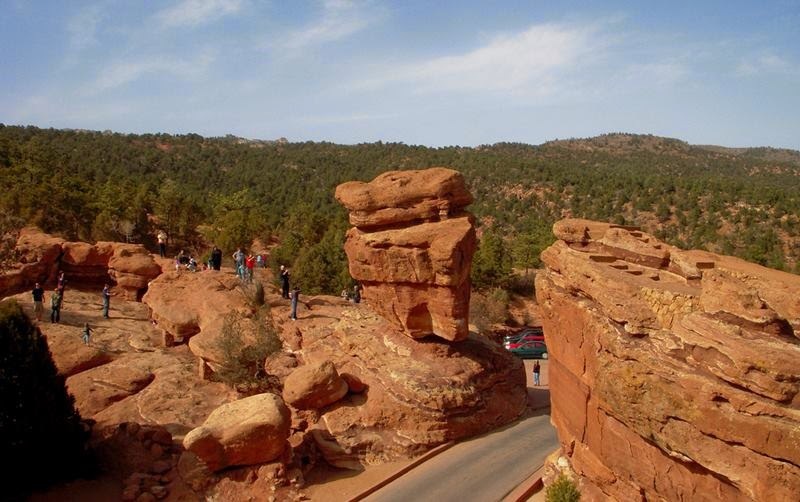 Archaeological evidence shows that prehistoric people visited Garden of the Gods about 1330 BC. At about 250 BC Native American people camped in the park. 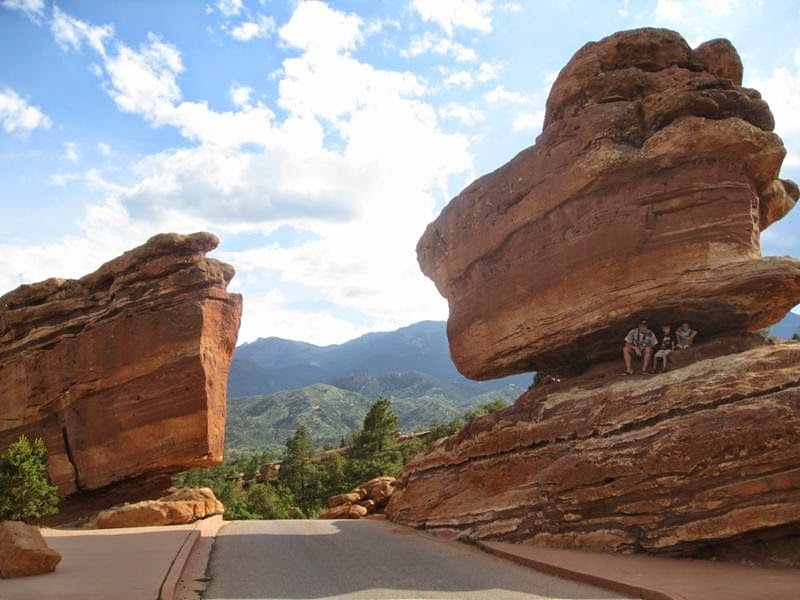 The outstanding geologic features of the park are the ancient sedimentary beds of deep-red, pink and white sand-stones, conglomerates and limestone that were deposited horizontally, but have now been tilted vertically and faulted by the immense mountain building forces caused by the uplift of the Rocky Mountains and the Pikes Peak massif. The following Pleistocene Ice Age resulted in erosion and glaciation of the rock, creating the present rock formations. 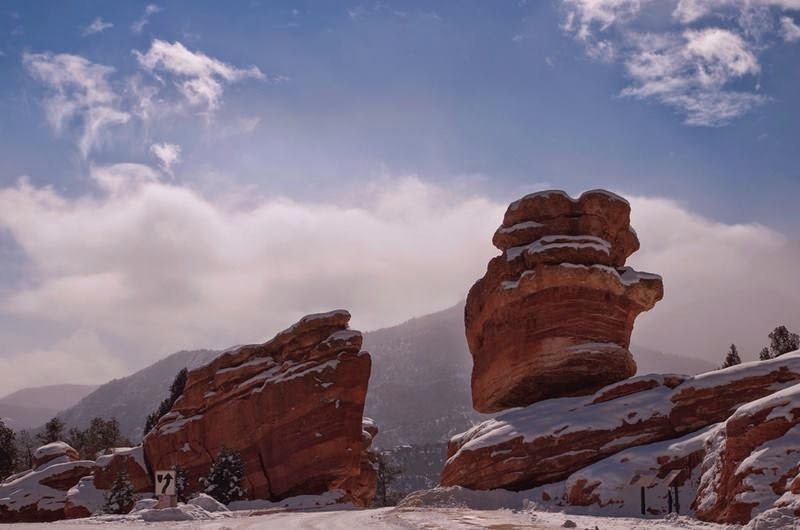 Evidence of past ages can be read in the rocks: ancient seas, eroded remains of ancestral mountain ranges, alluvial fans, sandy beaches and great sand dune fields. 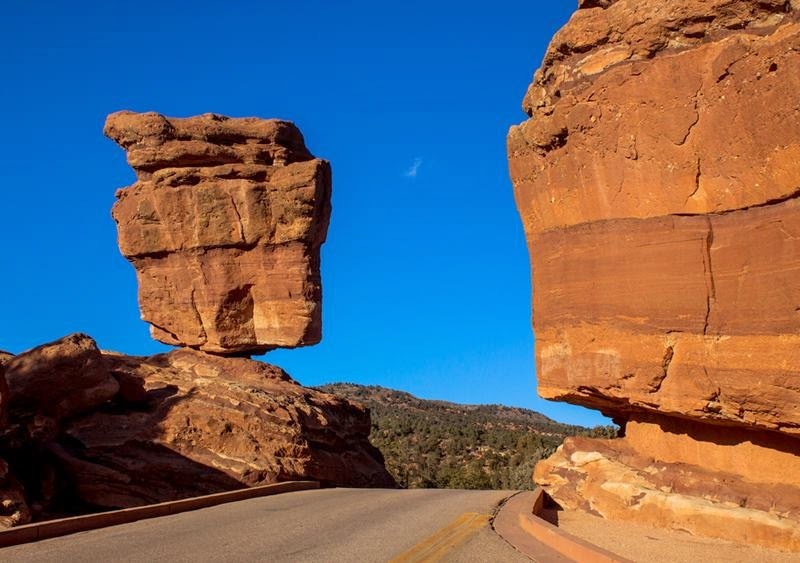 Balanced Rock and Steamboat Rock. Image credit Hans F.